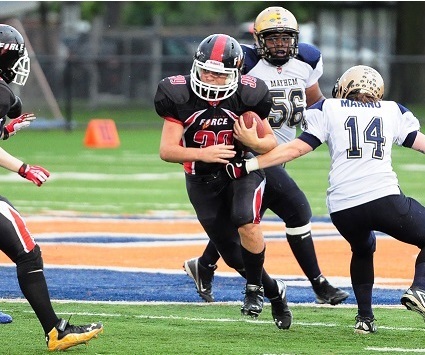 EVANSTON, IL: Despite a 90 minute rain delay, the Chicago Force improved to 7-1 with an emphatic 66-0 win over the West Michigan Mayhem in the second round of playoffs. Chicago's first play from scrimmage was an indication of how the evening would go, when Amber Kimbrough followed a wave of blockers and scored on an 80 yard TD run. The Force have found a winning recipe as they've alternated between power and spread offenses while pummeling opponents by an average margin of 65 points in the past 2 games. All of this has been without superstar quarterback Sami Grisafe, who is scheduled to return for the next game. But back-up QB Kerri Olivar has proven up to the task while operating the spread offense in Grisafe's absence. She has quickly developed a rapport with All-American wide receiver Jeanette Gray and that was evident as Gray finished with 10 receptions for 211 yards. Olivar completed 20 of 29 attempts for 319 passing yards and 5 TD passes - four to Gray and one to Jill Airaki - and was named the offensive game day MVP. Chicago's offensive line once again asserted its dominance and allowed the Force to rush for almost 8 yards per carry. Running back Kelsey Casey led the rushing attack with 182 yards and 3 touchdowns, and also had a pass reception from Carolyn Lee for a touchdown. The defense completely smothered the Mayhem offense, allowing just one yard of total offense and creating four turnovers. 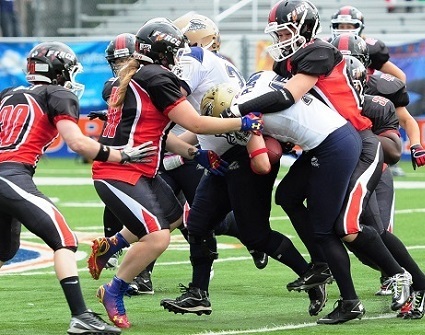 Martha Dantuma and Dorian Bridges each had an interception and Emilie Belanger and Angel Smith each recovered a fumble. Linebacker Paula Lehtinen was named defensive game day MVP. 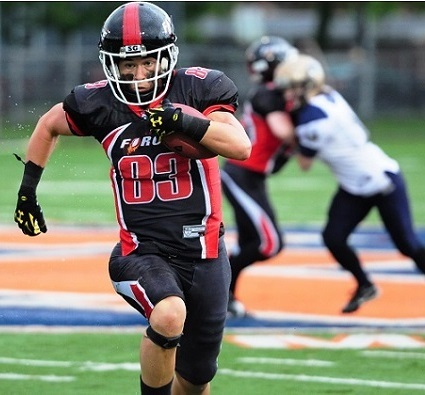 The victory propels the Force into the conference semifinals against the Miami Fury (7-2) on Saturday July 5th at Evanston Township High School, kickoff time TBD. It will be the first meeting between these two franchises and the winner will then advance to the conference finals on July 19th.